When people are new to Slack, they often use it in the simplest way: messaging coworkers to chat, ask questions, and nudge projects along. 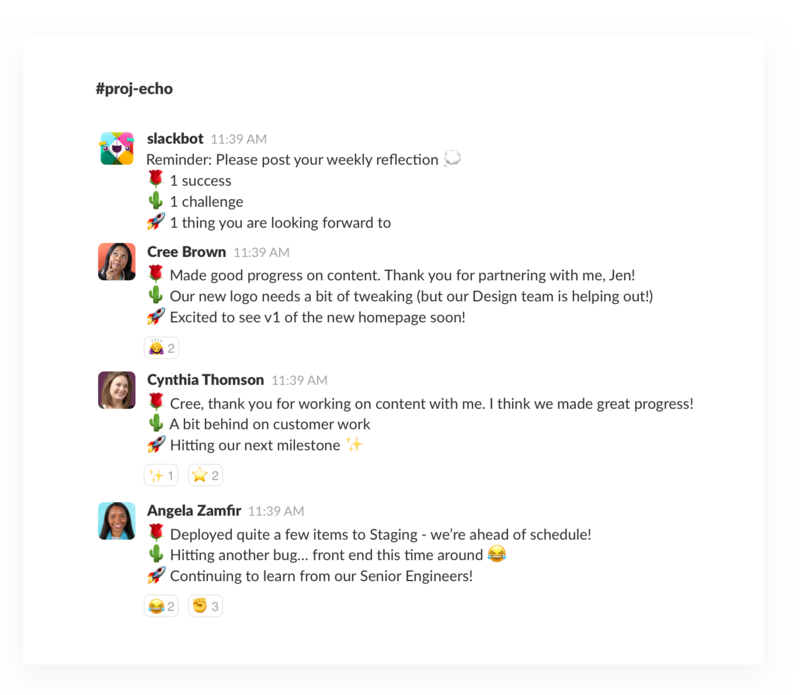 That in itself can make work more pleasant, but there’s a whole range of deeper features and possibilities inside Slack that can make all kinds of tasks easier, faster, and more efficient: things like hosting a video call, collecting project feedback, running polls—even directly communicating with your customers—all in Slack. To give everyone a sense of what’s possible—and get you up and running in no time—we created Slack Tips. There, 35 entries highlight not only our favorite features of Slack but also other apps, like Salesforce, Asana, and Zendesk, that are designed to work inside Slack. Every tip is a quick visual guide with step-by-step instructions to walk you through installation to first use in just a few minutes. Once you know how to upload files to Slack, you can post document drafts and image mock-ups for feedback and refinement. When everyone signs off, use the same feature to upload final deliverables for your team. Shared Channels, which turn Slack into a direct line between any two organizations, are a great way to work with external partners (and, as you’ll see, are quick to set up too). We’ve got a couple tips on how to connect with your team over video calls, as well as how to collaborate on files and documents using Slack’s interactive multi-user screen sharing. Sending email into Slack is an often overlooked feature that’s handy anytime you want to share information with your team. Our tip on how to run a stand-up meeting in Slack can save your team heaps of time usually spent in conference rooms. Before your next meeting, collect agenda items with your team in Slack so you can get everyone on the same page. Who doesn’t want to work in a happy office? Our tips on how to recognize coworkers for a job well done and how to welcome new hires are simple ways to create a more supportive space for all. For internal communications, how to send out announcements in Slack offers plenty of ways to get the word out—fast. If your company website provides a live chat widget from companies like Intercom or Drift to talk to customers, why not conduct those chats directly in Slack? 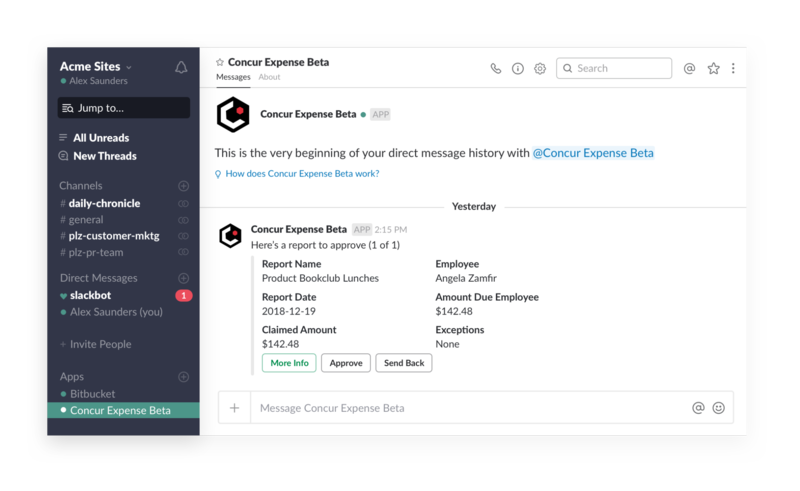 Salesforce and other CRM systems are juggernauts in business today, and we walk you through how to share CRM records in Slack as well as how to update Salesforce accounts without leaving the app. For tracking your company website, your team will enjoy the convenience of getting Google Analytics reports right in Slack. Keeping tabs on expenses is a hassle—until you follow our six-step guide to submitting and approving expenses directly in Slack. Whether you’re a marketer or a designer, a sales rep or on the front lines of customer support, our Slack Tips library is the launching pad for getting more out of Slack. 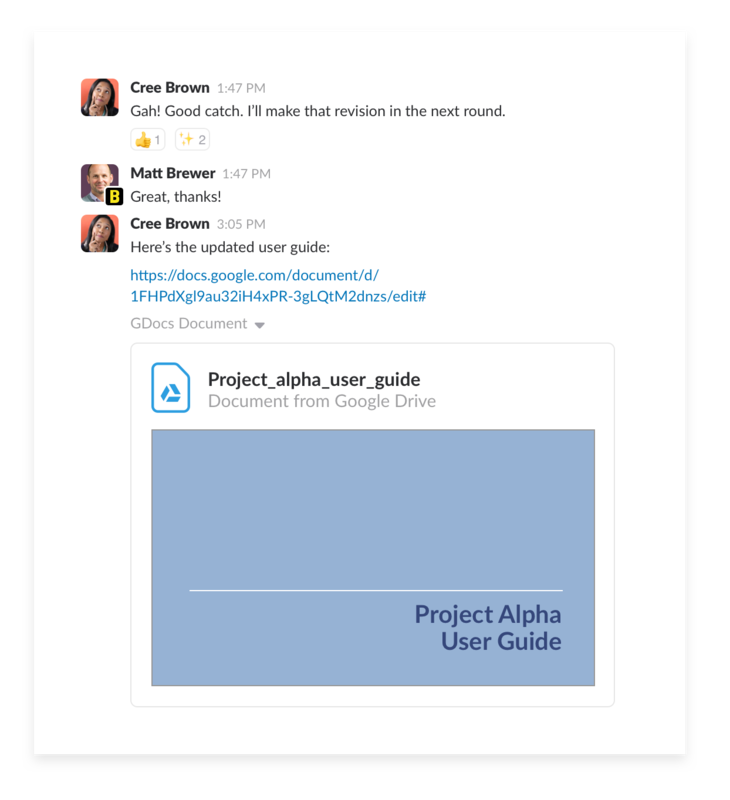 Check out the guides, try a few new features, and if your workday gets a little easier, we’d love to know. Send us some feedback or tweet us @SlackHQ using #slacktips.